Over Christmas break (my last one of all time) I had a chance to get some good reading done, and I took the chance and ran with it. Awesomely, I also got a ton of work done on my helpful task manager web app, [currently and historically titled] T-minus. On with the books: they are below, in order of reading. 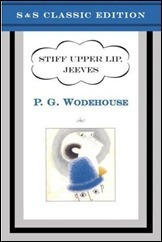 Who better to start off with than the grandmaster of English prose, Mister Wodehouse? 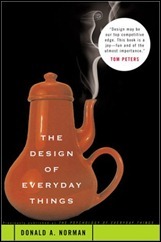 Enjoyable, even in the more theoretical sections; a good (and obviously formative) exploration of cognitive science and design. This was a quick read; short but solid. 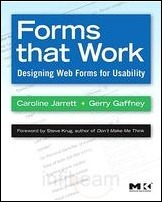 Most everything was review for me, but for those just starting with web forms, this would be great. 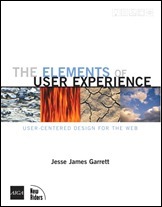 A short book, but helpful providing a mental model of the user experience. (It’s easy to forget that you are not your target market, so your experience is not typical). 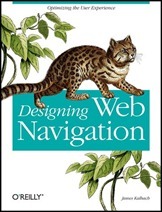 This was mostly review as well; I would probably keep it as a reference book for all the difference options in web navigation. Very solid for novices, though. This entry was posted in Compute, Myself. Bookmark the permalink. 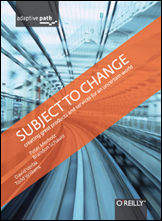 Thanks for mentioning our book, and I’m glad that you liked it.